Flowers do make just about anyone happy! We have our favorite florists all over the city, but this charming shop owned by 3 girlfriends and located in German Village, Three Buds Flower Market, is just an experience that makes Valentine’s Day what it is all about. 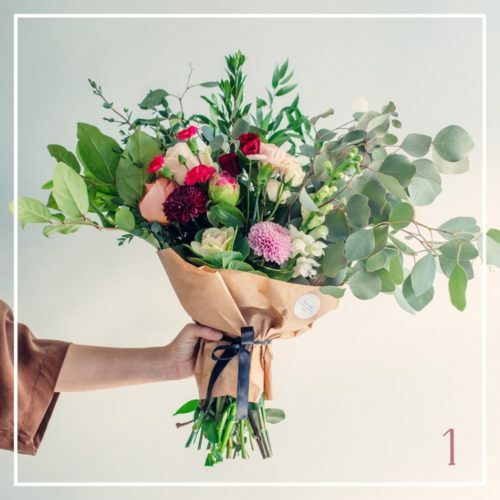 You can stop into their shop to choose pretties or order from several online bouquets like “The Just Right” or “The Little Lovely”. Our team paid a visit last week to this amazing new shop located in Upper Arlington and were blown away. DC Johnson Limited sources the best of the best in fine jewelers and creates an incredible one-on-one experience with their customers that will leave you craving more. From one of a kind fashion-forward pieces, to delicate layering beauties, engagement rings, classic pearls, and everything in between, you don’t just take our word for it–it’s an experience worth having! Contact the studio for pricing and details. This is an experience that is leaving our city in a tailspin, and we are thoroughly intrigued ourselves! Picture yourself dining in this chic, magical setting on the balcony at Vaso in Dublin. 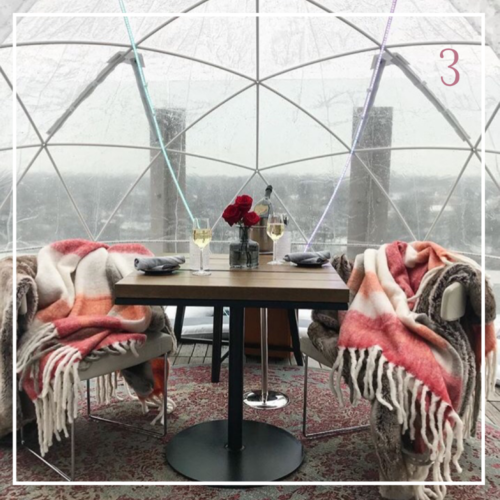 There are 3 igloos that each sit 6 people. The restaurant is currently taking limited reservations on weekdays and on the weekends, please contact for details. The gift of relaxation never fails, and Charles Penzone is the creme de la creme. 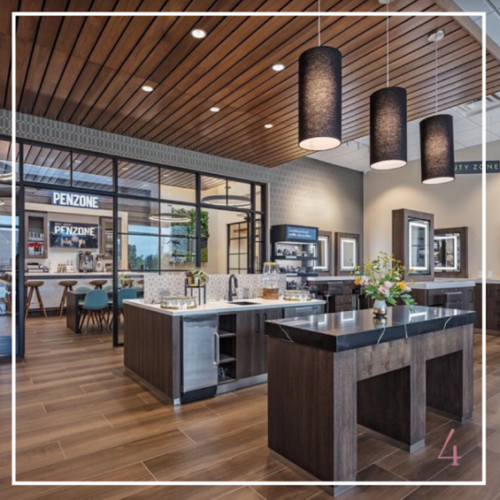 For the ultimate experience, visit the new Dublin location where you can experience new top-of-the-line amenities such as dual mani-pedi’s, and unwind with a cocktail or mocktail in the social room! 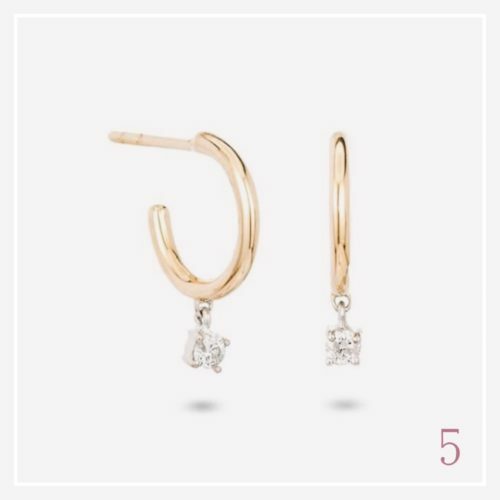 We love this twist on the classic hoop earring. It’s a trend that can surpass any age. Simple, elegant, yet bold in their own way. This set from Rowe are priced at $495. 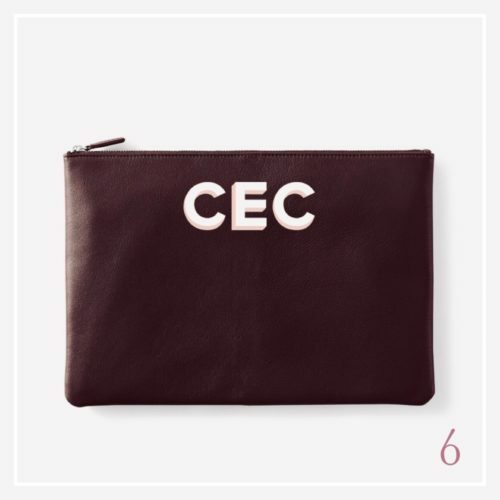 This large pouch from Leatherology is hand painted, and the bold, block letters bring a modern twist to an otherwise classic concept. Price: $205. Gift her something special that she can wear for your date out… and then continue to wear this Spring! 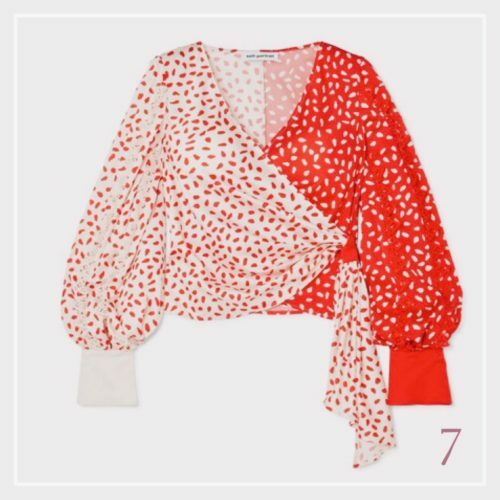 This red and white printed blouse pairs perfectly with straight leg denim and a sleek pump or a slim-fitting midi skirt and an ankle bootie. Top is Self Portrait from Net-a-Porter Price: $265. Don’t forget the guy on your list this heart-eye season! For the man who isn’t afraid to wear his heart on his err-chest? 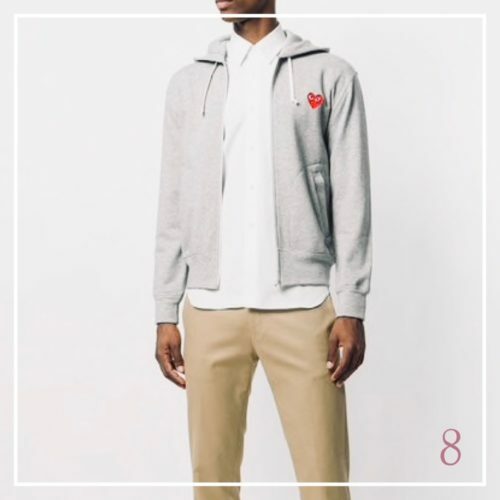 … this Comme de Garcon hoodie from FarFetch works. Encourage him to pair it with the perfect white tee and fitted denim…or over a classic button down for the right juxtaposition on an evening away. One thing’s for sure…you can’t go wrong with a red handbag on this cheery holiday! This little beauty by The Wolf Gang comes in two sizes–a fanny pack and a medium-sized shoulder bag. Both options are available now at Ladybird Large bag: $225. Children’s Books make us believe the good and love in all people. 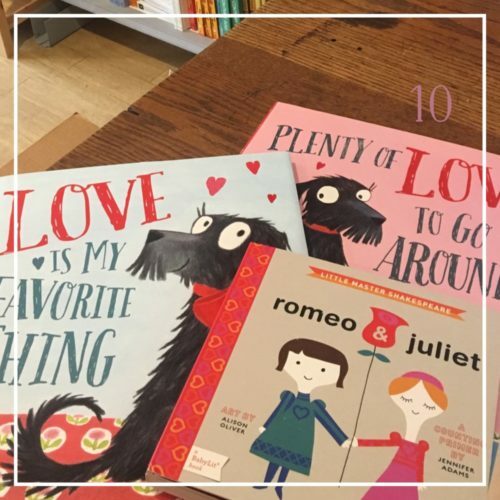 Why not pick out a fabulous tote and stuff it with children’s books that are focused on LOVE. What’s there not to Love by all ages? These sweet reads are available at our local favorite Kid’s shop, Cubshrub. Loving this little number from Truluck. 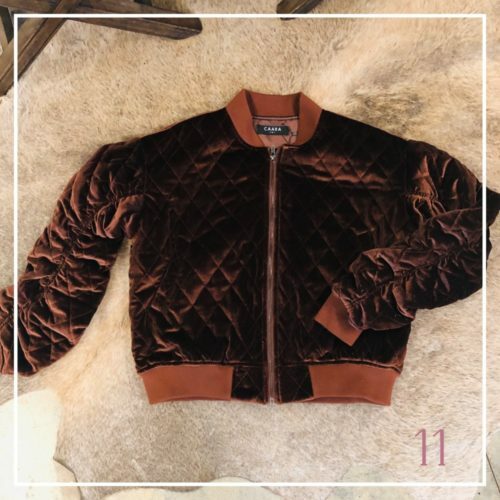 It’s the perfect piece to amp up your casual daytime athleisure ensemble, or dress up with a pretty blouse and denim for evening. Price: Available upon request. Never have we have seen chocolates more chic than below. 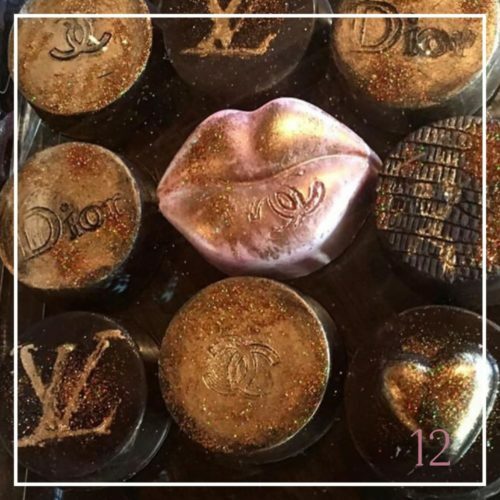 House of Suga, you had us at Dior…and LV….and Chanel…oh yes and pink heart-shaped chocolates, yeah that too. Yum on so many levels. Contact Lesley Huddle for pricing and details.